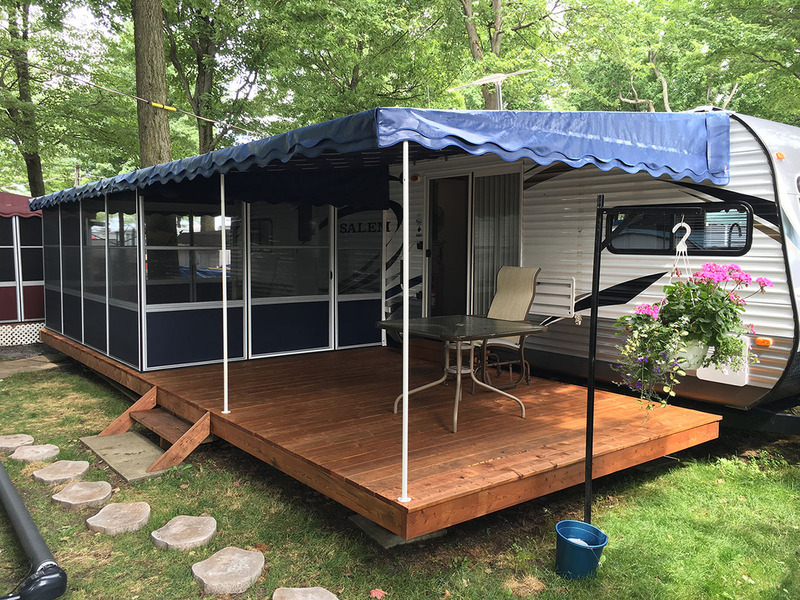 This premium 3 season RV add a room features a heavy duty, waterproof, heat-sealed vinyl top, and available in a range of sizes that suit almost any deck size. 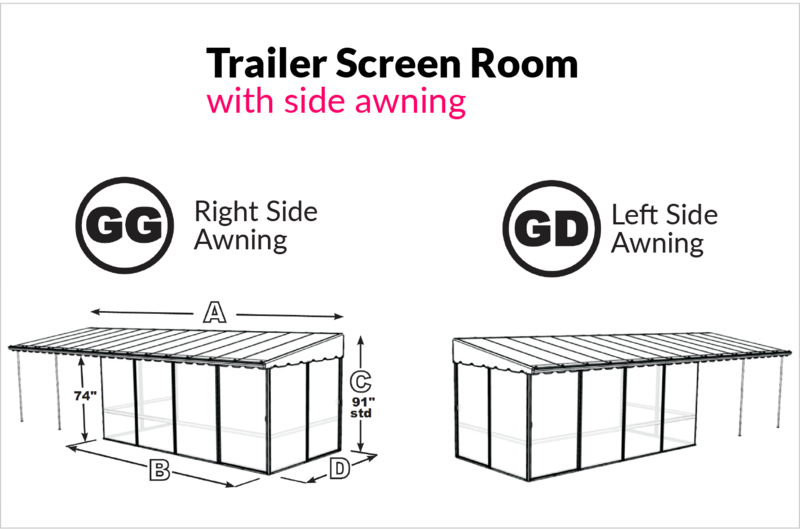 The deck enclosure can be extended beyond the screen room section with an awning only section for extended protection. With exceptional care in design and manufacturing, the ease of assembly and timeless look are just the beginning of this great screenroom! 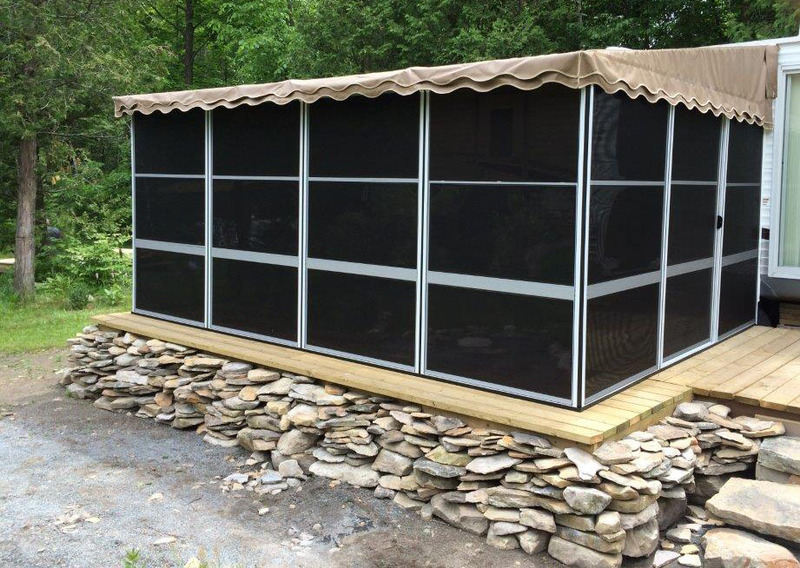 This trailer deck enclosure system unit will ensure you can enjoying the outdoor space at the cottage or seasonal campsite safely away from the mosquitos. Whether you just want to enjoy the lake view or arrange a game of cards with your friends, you are covered....literally! Design your screen room with our without vinyl windows and add the additional open canopy on the side of your choice. Call or email and we can help design the one you would like to build! 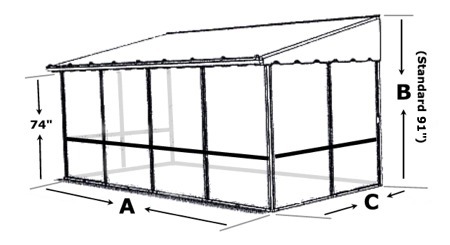 Note This enclosure has an optional side awning (shown here). 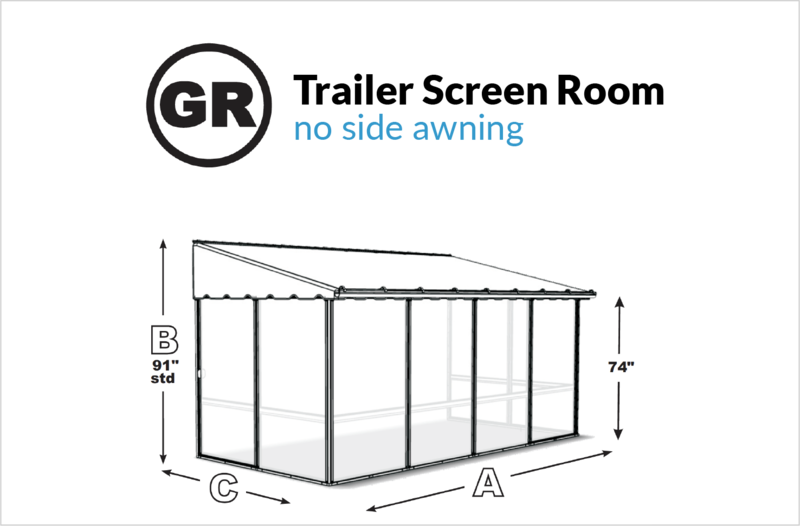 For details on the product without the side awning click here. Up to $800 Off The Jardin Patio Plus Home & Cottage Screen Room prices below. Contact Us for the latest pricing. With a heavy duty, waterproof, heat-sealed vinyl top, this deck enclosure is the top of the line in 3 season screen rooms. With exceptional care in design and manufacturing, the ease of assembly and timeless look are just the beginning of this great screenroom! Only the highest grade aluminum ensures a long, maintenance free life. We have systems still in use that were installed more than 20 years ago! This rv screen room allows you to enjoy the outdoor living space at the cottage or seasonal campsite away from the mosquitos. Enjoy the view or a game of cards with your friends anytime you like with complete protection from the sun, wind and rain. Design your screen room with our without vinyl windows or even add an open canopy on the side of your choice. Call or email and we can help design the one you would like to build! This is the screen only deck enclosure option. 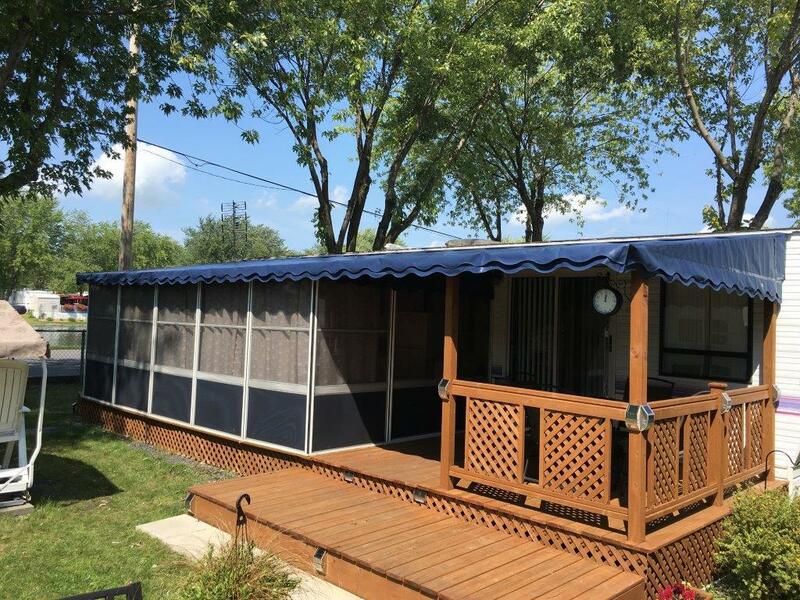 To see the deck enclosure that includes an integrated side rv awning click here. 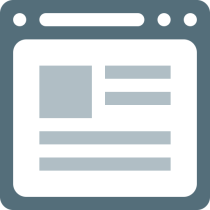 *NOTE: There is no variation to the standard back wall height of 91" for this application. For a different height, the patio plus can be used and trailer features added separately. Call or email for more details. Remove vinyl top easily for winter storage. - Not recommended for a snow load. U - channel deck attach system allows removal of screens easily, if required by park management. 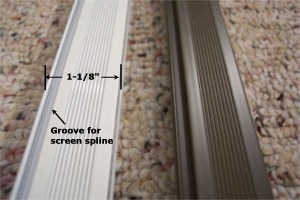 Back wall height is set at 91” – specifically for trailers - with a drop to 75” at the front. The panels that would typically attach to the house wall have been shimmed with a foam backed vertical support, eliminating the need to screw the unit into the trailer sides. Horizontal mounting rail may be put on the trailer in the same place as the old awning rail. No need for additional holes in the trailer wall. Complete with Heavy Duty Vinyl top, gable ends, mounting rail, roof rafter system, adjustable leg supports. The support bar on the inside of the screen panels is 1/3 from the bottom on all panels. 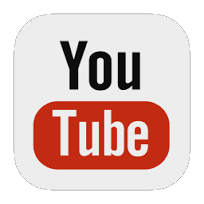 This means that you have a clear line of sight when seated. Roof tensioning system is built into the end of the roof rafters - accessed from within the overhang using a large thumb nut for ease of operation. The combination of roof overhang, roof tensioning system and roof pitch means that water puddles are eliminated. All panels are bolted together. No silly cables or plastic pieces. The room MUST be screwed to a deck or patio. 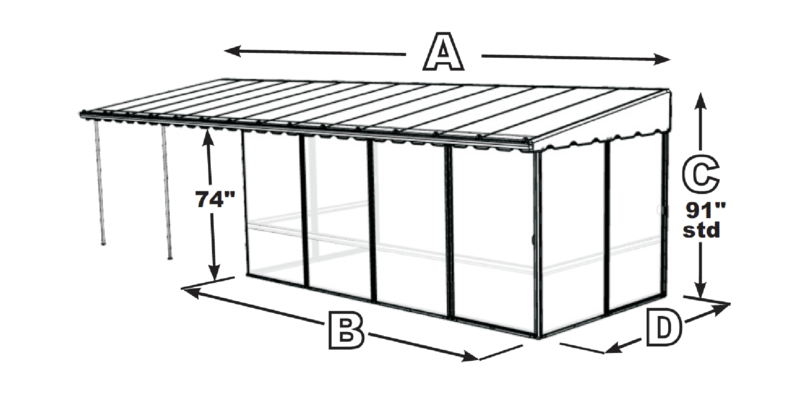 This is a very high quality, long lasting aluminum framed room that is easily assembled in a few hours. The triple ply, heat sealed (welded joints), 14 ounce soft vinyl roof is made to last! Frame is 1 1/4" x 3/4" aluminum with baked on enamel finish - with four colour options: Standard white or taupe, and premium black or antique brass (+ $35 per panel). SPECIAL OPTION: You can design your screen room to be any combination of enclosed screen room with open canopy (on right or left hand side). 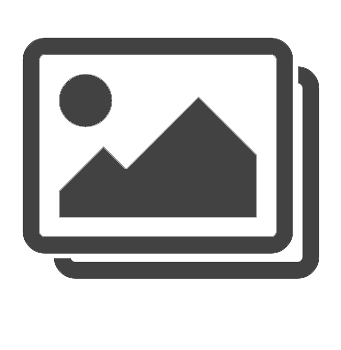 Please call us for pricing on the one you would like to build! Smooth Rolling Sliding doors standard - specialized top rail roller system allows for a strong, easy sliding door. Frame measures 1-1/8" wide x 3/4" extruded aluminum with baked on enamel finish - with four colour options: Standard white or taupe, and premium black or antique brass (+ $35 per panel).